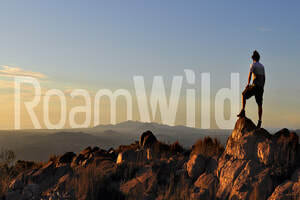 Few places on earth are more wild. Get your dose of adventure on Tasmania's remote west coast. You'll find Huon pines that have stood some 2,000 years, ancient landscape and wild rivers. Out here, you'll feel the elements. Cruising on the Gordon River is one of Australia’s most exceptional and iconic wilderness experiences. 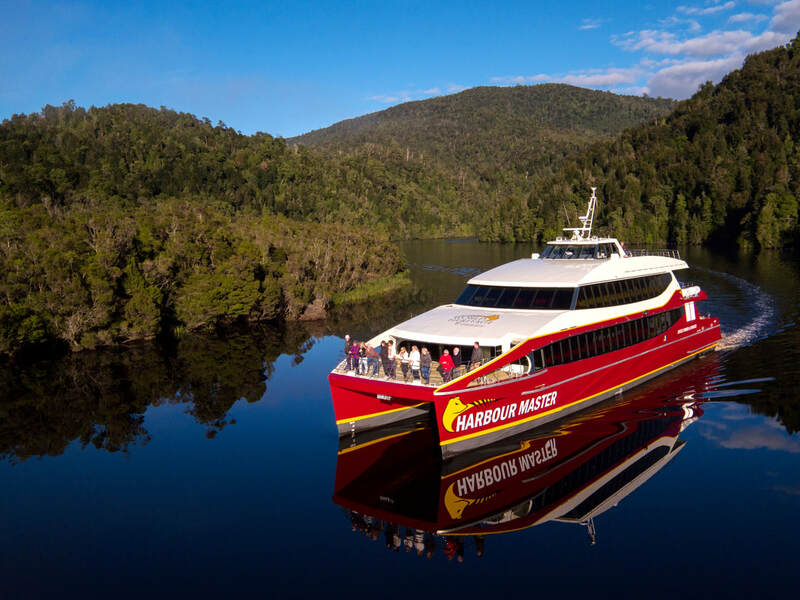 Departing from the picturesque town of Strahan each morning, their purpose-built state-of-the-art catamaran cruises quietly upstream with electric motors on the Gordon River and into the UNESCO Tasmanian Wilderness World Heritage Area. 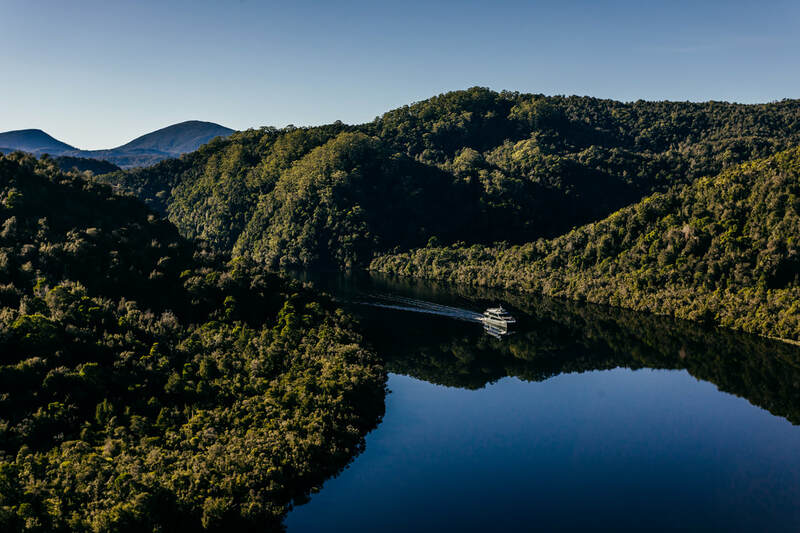 Be first on the water to see the mirror-like reflections that make the Gordon River so famous and step ashore at Heritage Landing to witness firsthand the ancient beauty of the Tasmania’s temperate rainforest. For an unparalleled experience, cruise on the Premier Upper Deck and experience luxury in the wilderness. King River Rafting offers one-day whitewater rafting experiences. From Queenstown, enjoy a journey through the steep King River Gorge, with exciting rapids, dense rainforest and Huon pine. They offer a Strahan pick up service if required. When not on the west coast, from Hobart they offer a popular Day on the Derwent tour in summer, and the Winter White Water Rafting trip in the colder months. Minimum group sizes and age restrictions apply. Western Tasmania's history is as varied and fascinating as its spectacular scenery. Locally based tour company, RoamWild Tasmania, has exclusive access to some of the most beautiful and historic sights in Tasmania. From breathtaking views atop Mt. Owen Spur to the world underground in an abandoned 1880's mine, dripping with copper sulphides. See mining remnants in ancient rainforest or pan for gold as generations before have done. Visit Tasmania's first commissioned hydropower scheme where the same turbines produce the clean power they did more than 100 years ago. Visit the abandoned village and hear stories of the community that worked the power scheme for many decades. This is a late afternoon tour ideally suited to those who may have already completed a train or cruise boat journey earlier in the day. King River Rafting will meet you about 5 pm in Queenstown or later at Tullah. 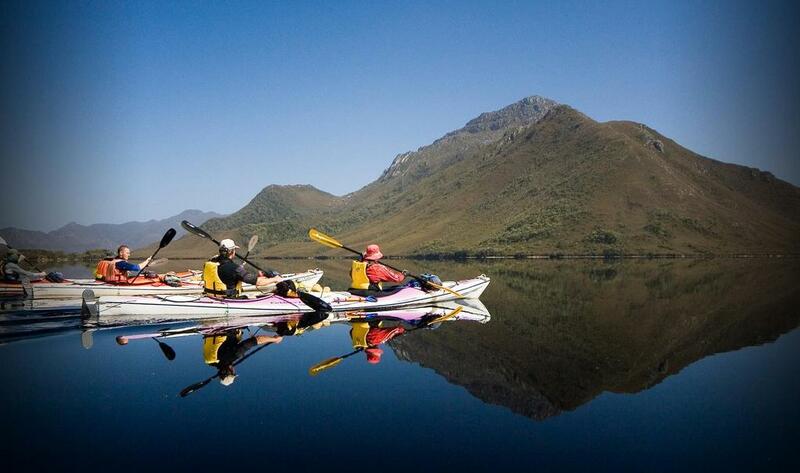 This tour paddles canoes up the usually mirror smooth waters of the Murchison Arm of Lake Roseberry, with the bulk of Mount Murchison looming nearby and the ancient rainforest growing to the waters edge. Come and experience the unbelievable beauty of this ancient rainforest! Meander through callidendrous or ‘cathedral-like’ groves with mosses and fungi carpeting the forest floor, or marvel at the Tarkine’s incredible coastline, rich with aboriginal archaeological history combined with raw coastal beauty. Tarkine Trails offers three extremely unique experiences designed to suit a wide array of fitness levels, from the serious walker through to the newcomer wanting to experience the forest but with all of the luxuries along the way. 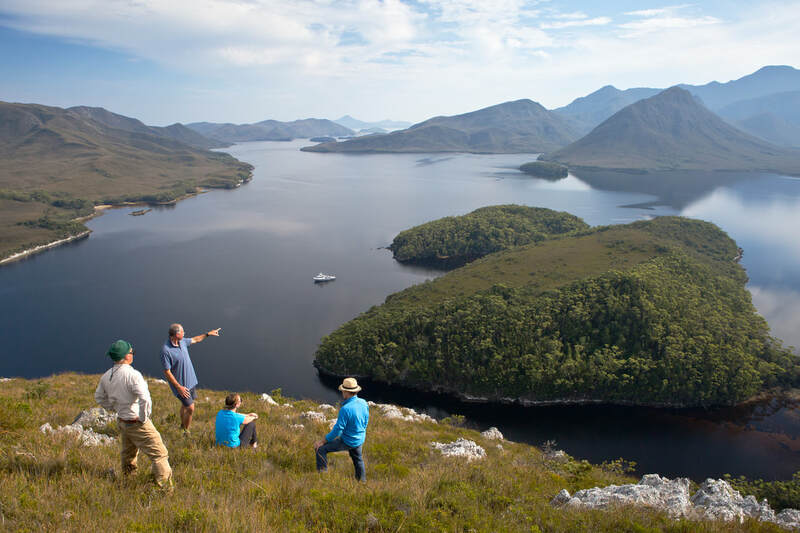 Explore pristine and rugged wilderness on an all-inclusive guided expedition cruise through south-west Tasmania’s Wilderness World Heritage Area. Ashore and afloat, these small-group tours explore this untouched landscape on daily guided excursions led by an expert skipper and guide. They offer tailored itineraries over four, five and seven days, with accommodation aboard a boutique floating hotel and gourmet fare prepared by guest chefs. It’s perfect for those eager for adventure but not so keen on roughing it! The tour includes return flights from Hobart to Bathurst Harbour, and fine Tasmanian food, beers and wine. Departures from Hobart January to May. Maximum of six guests per group. Welcome Aboard. 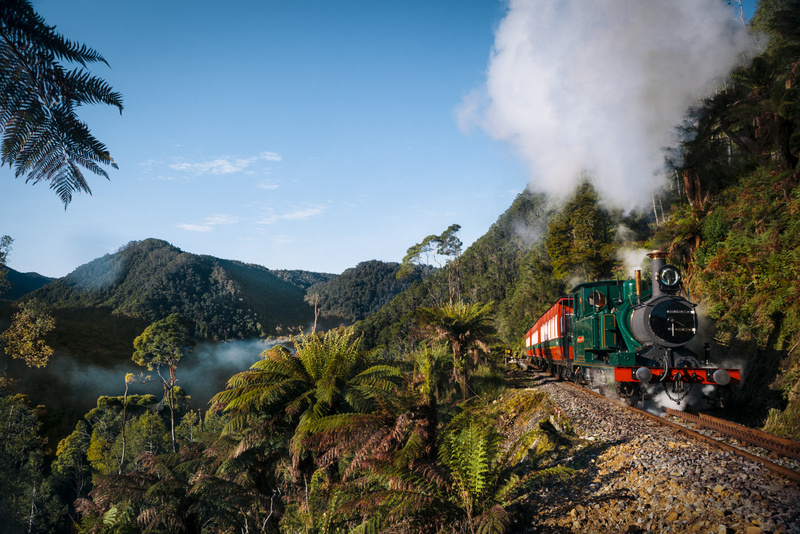 Step back in history and climb aboard a majestic steam train at Queenstown Station. 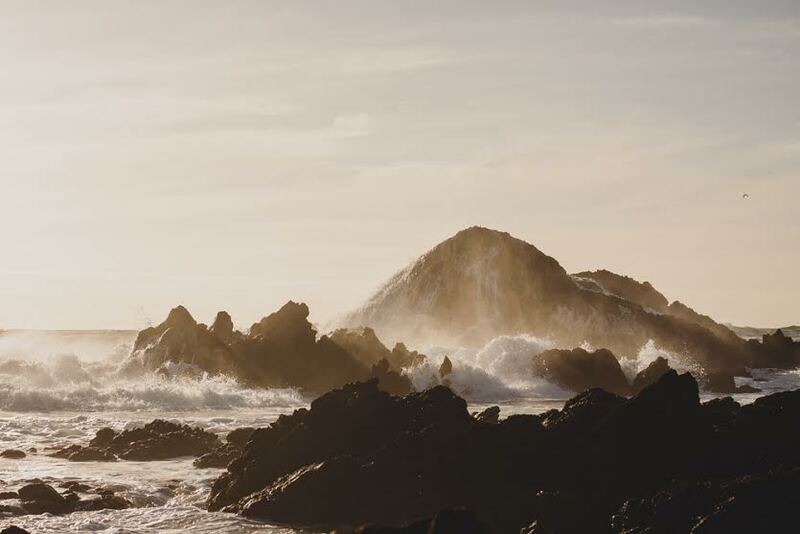 Journey deep into the heritage of the wild West Coast, where tales of resilience and triumph showcase the iconic local spirit. Discover how the Feud of the Irishmen helped shape the rugged and isolated region. The West Coast Wilderness Railway is a must do experience. 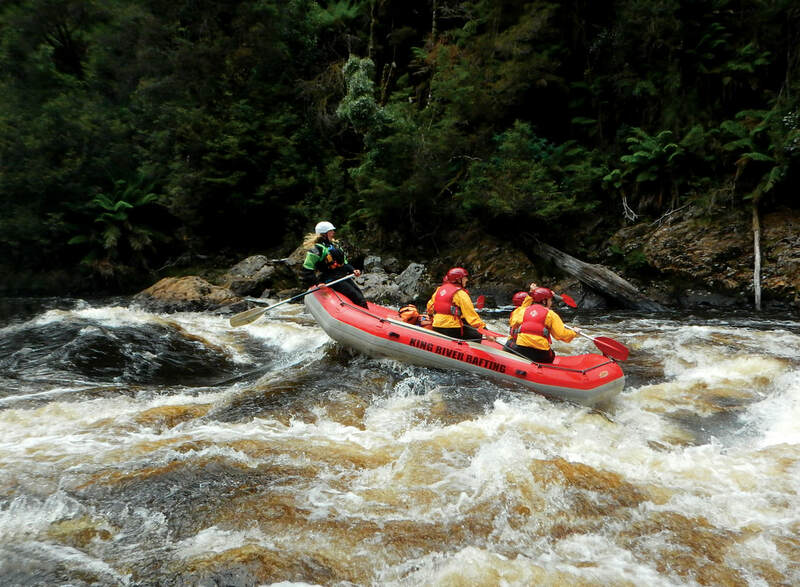 ​Wild Pedder offers fully-guided and all-inclusive wilderness experiences, bushwalking and kayaking in Tasmania’s rugged south-west wilderness. Their signature trip, named the Pedder Experience, is four days and three nights in length, departing and returning to Hobart. 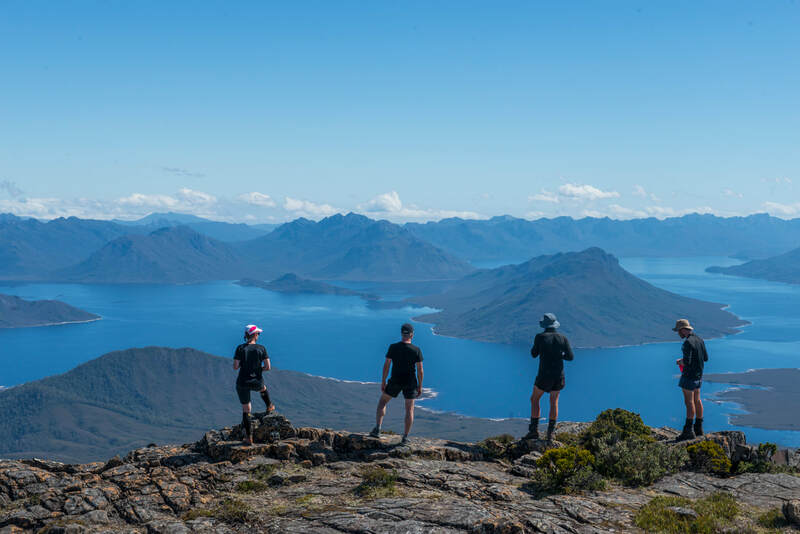 It features bushwalking within the incredible Mount Field national park, along the rugged Anne Range, through the massive forests of the Upper Florentine Valley, and kayaking on majestic Lake Pedder. paddling destination in Australia” and “one of the world’s 10 epic sea kayak paddles”. Bathurst Harbour and Port Davey, in Tasmania’s Wilderness World Heritage Area, offer a combination of sheltered wilderness harbours, rugged ocean coastlines, remote islands and wild rivers. There are no roads and no settlements. 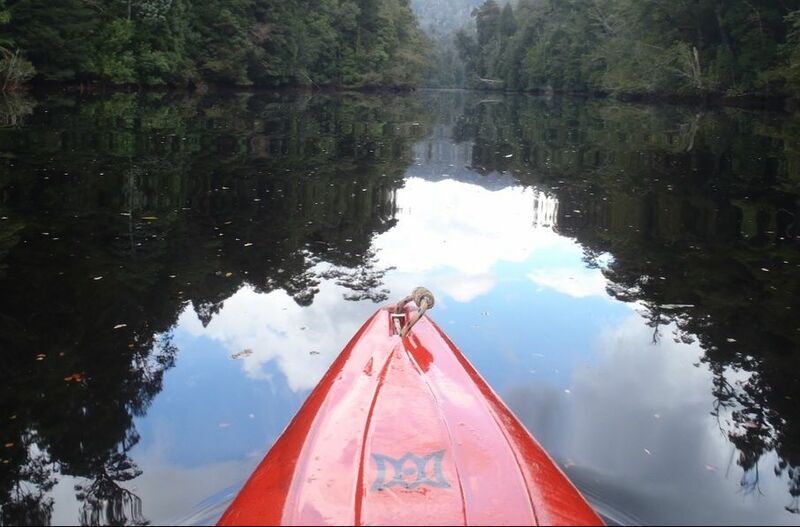 Discover spectacular destinations in the best way possible - by water, at paddling pace. World Heritage Cruises – the real deal. After 120 years of cruising the Gordon River and Macquarie Harbour, the Grining family, of Strahan on the beautiful and rugged west coast of Tasmania, have seen it all. Today, just as in 1896, when the Grining’s first boat plied the tranquil and dark waters of the Gordon River, we see the new state-of-the-art vessel Harbour Master taking visitors to some of the most remarkable places on earth. And today, just as in the early days, the hospitality and friendliness remains, six generations on. Quiet and powerful engines push the 36-metre high-speed catamaran through the water, as passengers enjoy a sumptuous buffet and take in the sights. Visit Hells Gates, fish farms, take a walk on Sarah Island and Heritage Landing on the Gordon River. Cruising the remote wilderness on the Harbour Master is as good as it gets.